Loony Bingo is a great new bingo site that offers a fun gaming atmosphere and a generous welcome package that will see you kick-starting your loony adventure! As soon as you roll into the wacky world of Loony Bingo you’ll be greeted by a bunch of crazy-eyed bingo ball characters. Each character boasts a different look but one thing’s for sure – they all look equally bonkers. Loony Bingo is part of the So Bingo Network, the same group that launched other leading sites like Gossip Bingo, Moon Bingo, Robin Hood Bingo and Sugar Bingo. 15 tickets to “£50 Daily Treat” games. 4x wagering requirements on daily treat winnings. Loony Bingo has 90-ball, 75-ball and five-line bingo games. In the lobby you will find six tabs, each leading to a different area. ‘Live Bingo’ features bingo games that are currently in play; ‘Easy Peasy’ lists all the guaranteed jackpot games; ‘Daily Jackpots’ are big prize games that play daily at 9pm. ‘Mega Jackpots’ and ‘Specials’ feature weekly and monthly prize games including Self Made Millionaire and Pay Day Bingo with a £10,000 pot; and finally ‘Free Bingo’ offers seven free games. In addition to online bingo, Loony offers over 200 online slots including Fluffy Favourites, Millionaire Genie, Temple of Isis and Sugar Train. These can be found in the lobby or in the bingo room above the chat window. 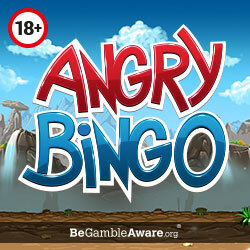 Loony Bingo is available on mobile devices too. Simply log in as normal via the mobile browser of your device or download the Loony Bingo App from the iTunes Store. The minimum deposit at Loony Bingo is £5 but you will need to deposit at least £10 to take advantage of the welcome offer. The minimum amount for withdrawals is £20. 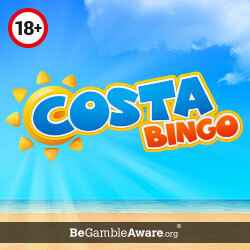 Keep in mind that there’s a wagering requirement of 3x deposit + bonus on bingo and 60x deposit + bonus on slots.